As well as capturing some awe-inspiring images of outer space, the International Space Station often takes some intriguing photos of life on Earth. Its latest offering shows an impressive natural checkerboard pattern photographed above Idaho. A photo taken on board the ISS this week shows how the intermingling of the natural world and mankind can accidentally create some stunning aerial photos. 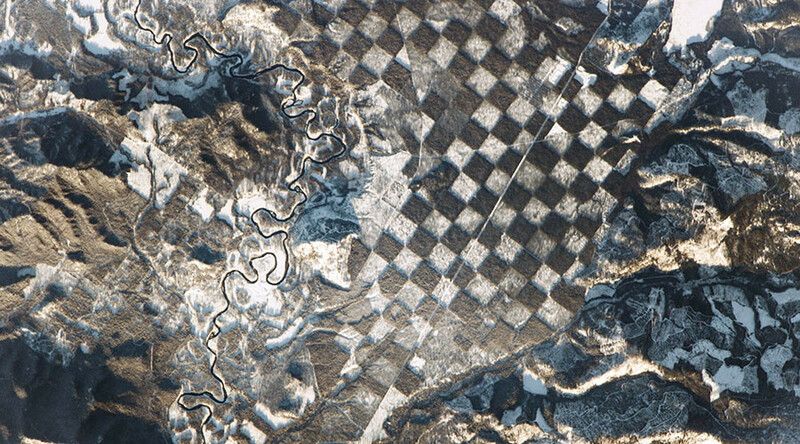 Photographed from above the Priest River in Idaho’s Bonner County, the giant checkerboard is made up of sections of deforested ground covered in snow, alternating with forested land. The land was divided like this back in the 1800s, when the US government sold alternating parcels of land in the Gem State to the Northern Pacific Railroad. In time, these one-square-mile patches of land were deforested, thus creating the checkerboard effect we see today, according to NASA.